Tiffany Moyer-Washington was recently notified that her son’s fourth-grade teacher quit mid-year – and his financially strapped school in Hartford would not be filling the position. Instead, her son and several of his classmates are being sent to a nearby school that has some space. In Bridgeport, an overhead announcement at Bassick High School last April informed students and staff that after-school activities were being canceled through the end of the school year because the district could no longer afford security guards. The play students had auditioned for and started rehearsing was scrapped, as were after-school clubs and tutoring. In a case challenging whether Connecticut is providing all students with an adequate education, Judge Thomas Moukawsher ruled the state is spending enough overall on education aid, but the way the money is being distributed is irrational and thus unconstitutional. The case is now on appeal to the state Supreme Court. He has since signaled that he plans to propose sending more aid to the most impoverished school districts, which were the focus of the school-funding case. With the governor set to lay out his proposals for education aid this week, numerous advocacy groups, rank-and-file legislators and the group suing the state have been pitching changes they would like to see. The bulk of the ideas are not new – but most would be controversial or expensive. Here are some of the ideas being pitched. Fifteen Democratic state legislators have proposed bills with a very direct purpose: shield state education spending from inevitable cuts in the state budget and increase education aid. For these legislators – one out of 12 members of the General Assembly – troubled schools need more money if students are to have a shot at success. Rep. Mitch Bolinsky, R-Newtown, also is proposing shielding education aid from large cuts. Rep. Stephen Harding, R-Brookfield, is proposing tying the state’s primary education grant to inflation. 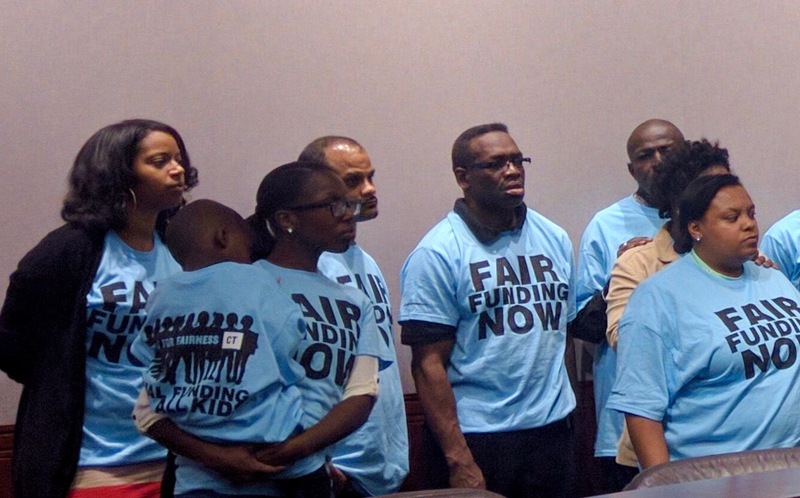 Throughout the five-month school-funding trial, a parade of teachers, superintendents, principals and social workers shared stories about needing more money for their schools. Others disagreed that more money would help. The attorney general’s office presented numerous witnesses during the trial, including the state’s education commissioner, who testified that poor local leadership is the problem, not funding shortages. The majority of students in the state’s big cities are multiple grades behind in reading and writing, and Connecticut has for years had some of the nation’s worst gaps in achievement between poor and minority students and their peers in wealthier school districts. Connecticut is one of seven states where high-poverty districts have fewer teachers per student than better-off districts, and the state is in 44th place for how competitive the salary of a 25-year-old teacher is in an impoverished district, the Rutgers Graduate School of Education reported last week. 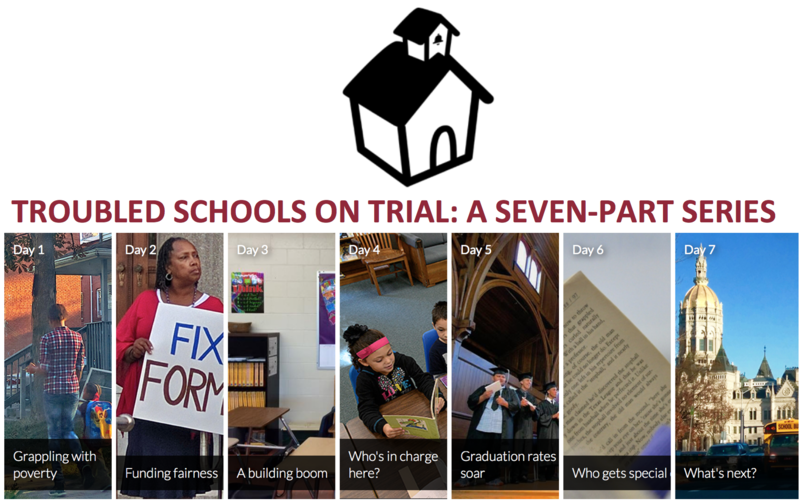 Research prepared for the school funding trial showed mixed results on whether more money helps lead to better student outcomes, and Connecticut has had a long line of task forces study and recommend changes for state education aid. The most recent task force, appointed by Malloy during his first year in office, recommended in January 2013 that the state send a lot of additional money to the most impoverished districts. The General Assembly then passed legislation to phase in additional money for the worst-performing districts. However, facing budget deficits one year later, legislators voted to override that phase-in and then, last year, cut education spending by $104 million. 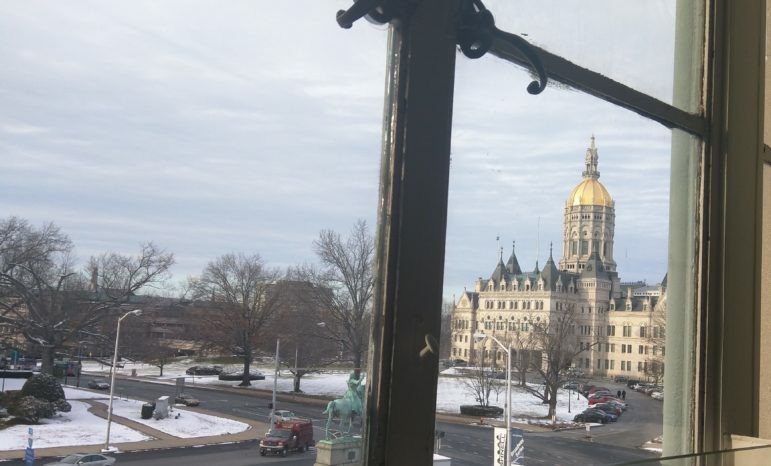 To pay for increased spending, Connecticut Voices for Children, a left-leaning advocacy group, is proposing the state collect local property taxes and disperse that pool of funding based on towns’ tax rates. Communities that tax themselves equally for education would receive equal per-pupil funding for education. Essentially, poor towns would get much more and rich towns would lose money. 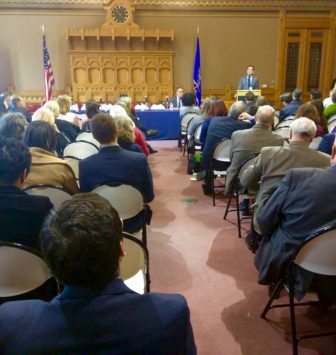 Asked about the plan during a forum hosted by Voices last month, Malloy said he has no plans to propose the organization’s solution. When members of the group suing the state met with the governor’s budget director last month, one of their primary goals was to convince the administration to fund a study to determine how much it actually costs to provide students an adequate education. 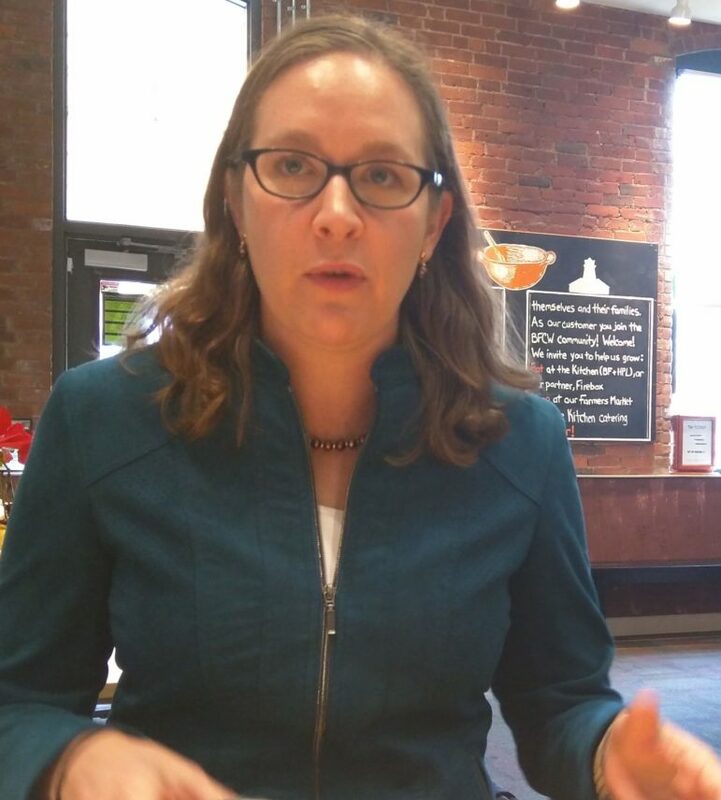 It’s not a new concept, although this was the first time the Coalition for Justice in Education Funding had a chance to meet with the Malloy administration and pitch the idea. It’s unclear whether the governor’s budget package will include such a study, which the plaintiffs estimate could be done fairly quickly at a cost of about $250,000. “We fund education backwards instead of finding out what the real needs and costs are,” said Jim Finley, principal consultant for the coalition of parents, teachers’ unions and local municipal leaders. A cost study, for example would help the state understand how much to send Norwalk, which enrolls a large number of Haitian students. 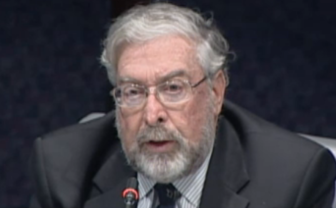 “How much does it cost to hire a French Creole-speaking guidance counselor to work with those Haitian students, or to counsel their parents about homework involvement or to talk about college opportunities?” asked Alex Knopp, a former longtime legislator whose Yale Law School Education Adequacy Clinic helps represent the plaintiffs in the lawsuit. “What does it cost to educate a student [with various obstacles]? These are things that have not been sufficiently researched and determined in Connecticut. Numbers are picked out of a hat,” Knopp told state legislators recently during a forum at the State Capitol complex. The coalition has hired experts twice since 2005 to do a cost study like ones conducted in states such as Arkansas, Kansas, Maryland New Mexico and Pennsylvania. The most recent study found it would cost Connecticut an additional $1.22 billion to properly fund education for 445,508 students in the 100 school districts that it determined to be under-resourced. That study found that 97,000 students in 66 districts are attending adequately funded schools. The lead attorney representing the state rejected the value of such studies throughout the school funding trial. The most recent school-funding task force, chaired by the governor’s budget director, decided to ignore a 2012 recommendation from its school funding formula subcommittee to do a cost study. “It would seem that the determination of how much an adequate education costs is extremely important,” the subcommittee concluded. Last week, five advocacy groups with clout at the state Capitol also came together to recommend a cost study. The organizations included the Connecticut Association of Public School Superintendents, the Connecticut Association of Boards of Education, the Connecticut Association of Schools (which represents school principals), the Connecticut Council for Education Reform (a business-backed group), and the Connecticut Coalition for Achievement Now (which advocates for school choice, among other reforms). “We need to start with what does it really cost to educate every child,” said Joseph J. Cirasuolo, the executive director of the school superintendent’s group, which is part of the coalition suing the state. More than 60,000 students attend schools where winning a lottery determines admission, including charter and regional magnet schools, vocational-technical high schools and agriculture programs. That’s one out of every nine public school students. In the state’s big cities, the rate of students entering a lottery and leaving their neighborhood public school is even higher. With these options have come different spending formulas, depending on the type of school. Parents of charter school students hold a press conference at the State Capitol complex to call for more state funding for charter schools. Charter schools in Bridgeport get $11,000 per student from the state, compared to the roughly $9,000 the city school district receives. Vocational schools are block-funded by the state. And regional magnet schools get a per-student grant, which varies depending on where in the state they are located. Several education reform groups have been advocating condensing these formulas into one comprehensive formula. Those groups – including the Connecticut chapter of Educators 4 Excellence and the Connecticut Coalition for Achievement Now (ConnCAN) – argue a lottery school shouldn’t have less money to operate just because it isn’t a traditional neighborhood public school. Charter school advocates regularly complain that their schools receive $4,000 less per student than the local neighborhood school. That disparity exists because charter schools don’t get the benefit of local property tax revenues that traditional schools rely on. Merging all the formulas into one is highly controversial. Teachers’ unions and other education advocates worry it will drain money from already underfunded, struggling schools. It doesn’t have to be that way, says the coalition of superintendents, schools boards and others that released recommendations for state education spending last week. The coalition recommended that students in these choice programs receive what’s necessary to provide an adequate education, as opposed to what the current formulas dictate. But, Cirasuolo said, such a system should not drain money from one school to help another. “We wouldn’t agree to anything that would hurt our local public schools,” he told reporters during a conference call as the recommendations were released. It’s unclear just how much such a system would cost the state. The governor during his State of the State address also called for transparency in education spending, and several advocacy groups immediately pointed to a law on the books to accomplish just that – but it has yet to be implemented. Five years ago, the General Assembly almost unanimously passed legislation that required the state Department of Education and the governor’s budget office to set up a system allowing the public to see how and where school officials spend their budgets. That initiative has since stalled, despite the July 1, 2015, rollout deadline prescribed in the statute. State officials were unable to say when, or if, the system – called charts-of-accounts – will ever be launched. Such transparency could help residents hold their school districts responsible for misplaced spending or provide a rallying point for more spending, she said. 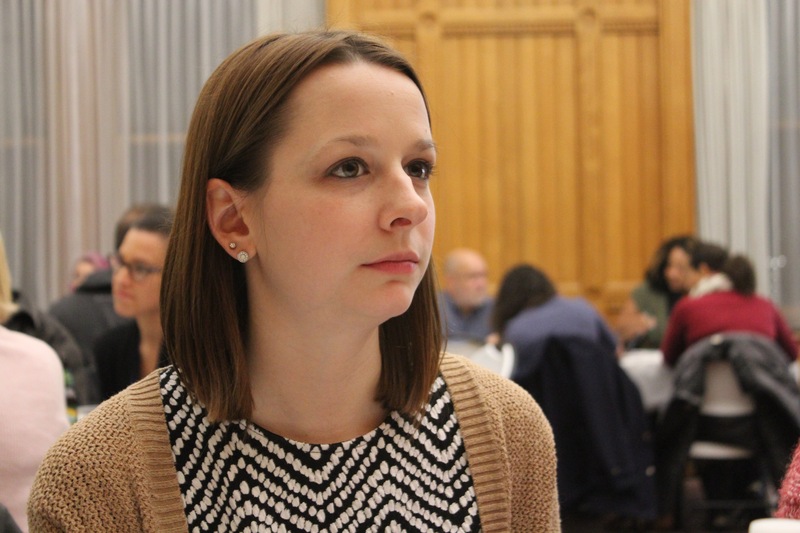 Harkins, the high school English teacher in Bridgeport, said she would have liked to be able to see the budgets for her school and school district when the after-school activities were canceled. She would then at least have been able to see where money is going.